The 16th annual ISWC (International Symposium on Wearable Computers) conference and 10th international annual conference Pervasive (Pervasive Computing) were hosted in Newcastle-upon-Tyne, UK by Newcastle University. It was great to have the annual conferences in Europe.Key note speakers included Prof. Elias Siores (University of Bolton) who delivered an insightful presentation on 'Smart Materials in Energy Conversion for Technical Textiles Systems and devices'. Both conferences were concurrently run with an array of speakers, demos and novel research; overall an extremely informative and exciting range of projects presented. Weft Lab also presented papers during the adjunct conference which were received with praise. 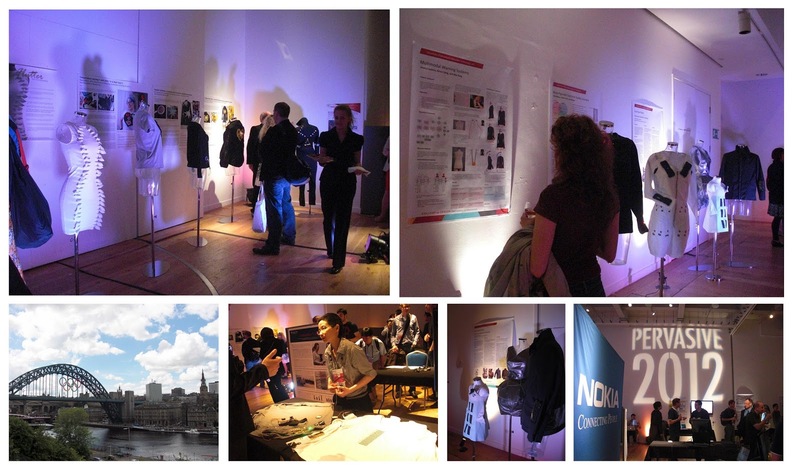 One of the most exciting parts of ISWC was the design exhibition that showcased a number of active prototypes from international researchers, all integrating wearable technologies into their concepts. The winner of the design showcase was the 'Flutter dress' by Halley P. Profita, Nicolas Farrow and Prof. Nikolaus Correll from University Colorado. The dress gives users with hearing impairments vibrotactile sensory inputs from loud alarms or emergency sounds to help alert the user to their environmental surroundings. We were also pleased to hear that ISWC 2013 will return to Europe hosted in Zurich, Switzerland.